I am going for it!! First of all THANK YOU for every like, every kind word, every commission and so much more in the past year. 2015 has flown so fast, it makes my head spin 🙂 It’s been a truly magical year for me. A year I felt deeply touched by your reactions on my website and facebook and by the beautiful people I met through my commissions <3. Thanks to you I’ve made paintings and drawings that touch my heart and hopefully I touched yours with my work. 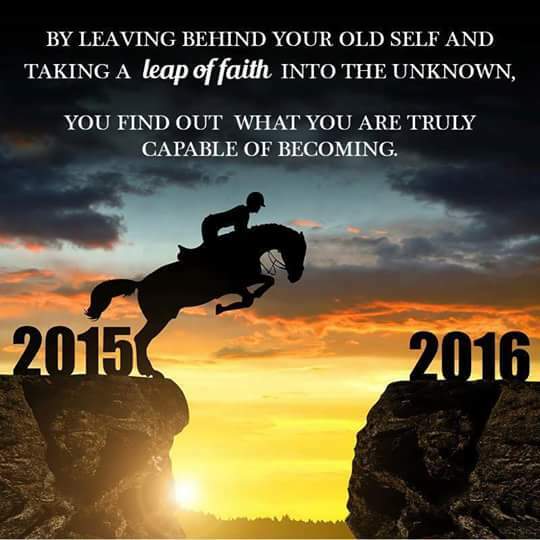 2016 is going to be a year where I will take a giant leap of faith! I have to. I owe it to myself, but wow it’s so exciting. I will tell you more about it, but I am still taking decisions now. It has everything to do with horses, painting and following my heart and dreams. What is your big goal in 2016, or maybe a small one? The small ones are equally important! A small step can start a giant journey! ps. do follow me on Facebook if you like… there will be a contest where you can win my first work of 2016! !